Veteran British rockers Status Quo have been honored by the Queen for their services to charity and music. 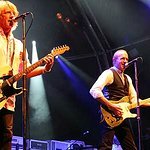 The band’s two founders – Rick Parfitt and Francis Rossi – were awarded OBEs in the Queen’s New Years Honors List. “To be perfectly honest with all the hard work we have put in over the years I accept it graciously – I do think we deserve it with all that work and what we have done for charity,” said Parfitt. "We’ve worked hard over the years and done a lot for Nordoff Robbins, the Prince's Trust and the Heart Foundation and other charities, so I thought there had been a chance that we may have got something, but I had kind of given up hoping." Status Quo were one of the many British acts to take part in the recording of Bob Geldof's Band Aid single in 1984 and the Live Aid concert in 1985. 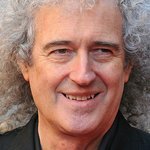 In 2008, they asked some of their celebrity friends – including Brian Wilson, Rolf Harris, Alice Cooper, Brian May, Chris Tarrant, Jamie Cullum, and Katie Melua – to create pieces of art to be auctioned for charity, raising over US$158,000 for the Prince’s Trust.